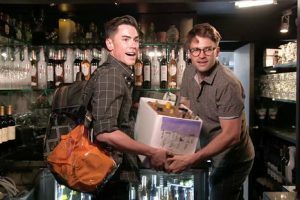 Are Tom Sandoval and Tom Schwartz Lisa Vanderpump’s business partners or not? Based on the small snippets we get to see on Vanderpump Rules, it’s as if she can’t decide. One minute, she’s entrusting them to come up cocktails for the menu. The next, she asks her daughter Pandora Vanderpump to take on the task instead. On last night’s episode, Lisa had the Toms come up with some drink recipes for a Daily Mail event. During that same episode, Lisa banned Tom and Tom from being present when Nick Alain, their restaurant designer, showed up with decor and furniture for the restaurant. Really? They can’t even help unload boxes for a restaurant named in their honor? Nevertheless, they showed up anyway much to Lisa’s (perceived) dismay. She claimed that she didn’t want to leave them in suspense if they saw everything before it was set up, but that just doesn’t make the most sense. Yes, we get it, Lisa and Ken Todd have contributed a majority of the money to TomTom and they have greater ownership in the restaurant. And, of course, there’s no doubt that they’re experts in this industry. Nevertheless, the inconsistent inclusion of Tom and Tom at a restaurant called TomTom is pretty ironic. Tom Sandoval’s girlfriend Ariana Madix stood up for the Toms and called out Vanderpump Rules production in a series of tweets. Immediately it becomes apparent that this will be another season of everyone villainzing James while pretending Jax is a new man as they plan his wedding to Brittany Cartwright. Forgiving Jax and hating James are literally the only subjects this show has anymore. And James, like the little whack-a-mole he is, will come back for hit after hit, cause he’s the White Kanye Baby and hits is what they do! Far less frivolous are Lisa Vanderpump and Lala Kent dealing with painful losses in their lives. Lala’s father passed away from a stroke 2 months earlier, and she has inherited his mantra to be kind. Even to sketchy people. (Lest their names be James.) Lisa is mourning the loss of her brother, her only sibling, who committed suicide 5 weeks before filming started. Wow – that’s so devastating. Most Housewives don’t miss the opportunity to invite the whole cast for an over-the-top themed birthday party. However, that doesn’t seem to be the case for Lisa Vanderpump this year. Yes, she had a luxurious (but casual by Lisa standards) birthday celebration this year, but there weren’t any Real Housewives of Beverly Hills cast members in sight during her birthday party this year (at least that we see on social media). Based on social media, it looks like Lisa kept the birthday celebrations to family and close friends. 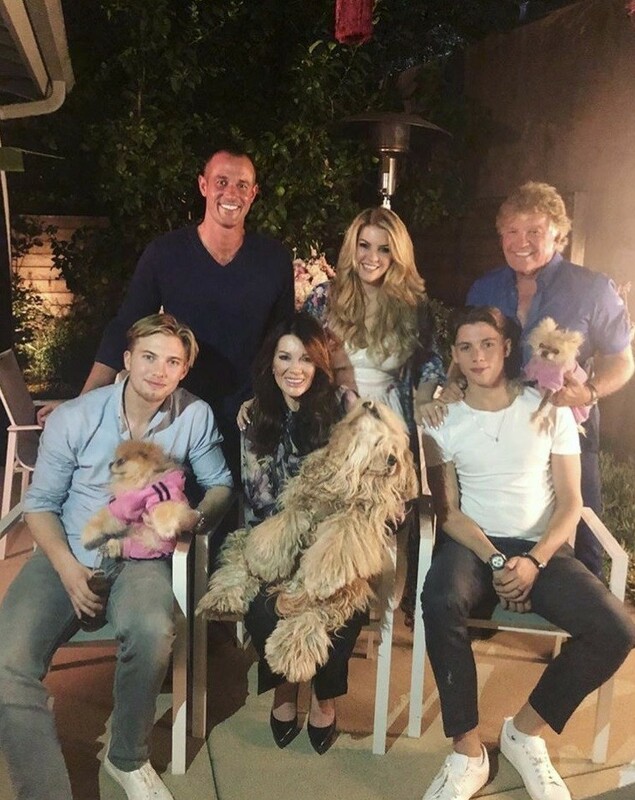 She spent time with her husband Ken Todd, daughter Pandora Vanderpump, her nephews, her dogs, and longtime friend Mohamed Hadid. We have an all new reality star photo gallery for you! 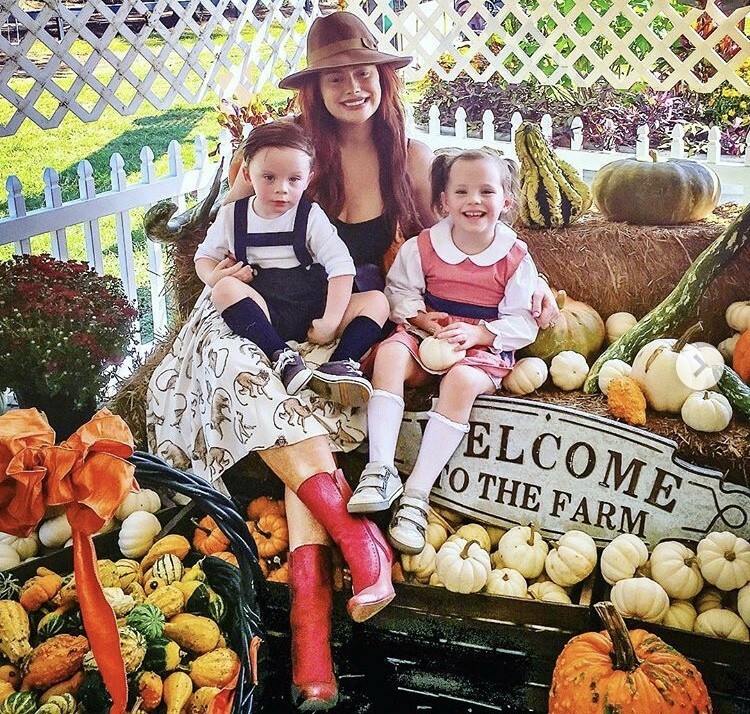 See what your favorite reality TV personalities did over the weekend. Erika Jayne, Tom Sandoval and Ariana Madix attended a festival in Palm Springs. Erika’s co-star Lisa Rinna attended the ZOEasis 2018 event along side Rachel Zoe. Meanwhile, Real Housewives of Beverly Hills OG Lisa Vanderpump signed bottles of Vanderpump Rose at the Fine Wine & Good Spirits Premium Collection store in Pennsylvania and was accompanied by her daughter Pandora. Vanderpump Rules star Scheana Marie attended a pre-event for the 53rd Academy of Country Music Awards at the MGM Grand Garden Arena in Las Vegas. Tom Sandoval, Brittany Cartwright and Jax Taylor headed over to the premiere of “Super Troopers 2” together in Hollywood. Below in the gallery you’ll also find Brielle Biermann, Caitlyn Jenner, Kendall Jenner and more! As a faithful viewer of both Vanderpump Rules and Real Housewives of Beverly Hills, I just cannot decide how I feel about Lisa Vanderpump. Watching Vanderpump Rules, I want to start bartending so Lisa can adopt me and take me under her wing with a restaurant named in my honor. When Real Housewives of Beverly Hills is on the next night, I’m scared of falling victim to secondhand manipulation while I sit on my couch at home. It is essentially a Dr. Jekyll and Mr. Hyde situation. To add to my confusion, the woman who stormed out of a lunch because she felt ignored while Dorit Kemsley comforted Kyle Richards while she was crying is the same person who is an avid philanthropist and LGBT advocate. 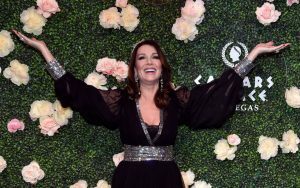 It’s just so tough to reconcile my thoughts when it comes to Lisa Vanderpump, yet I will never turn away from any of her shows and I have seen every single episode. Multiple times.